This simple upgrade can make a marked improvement in your bathroom's appearance. 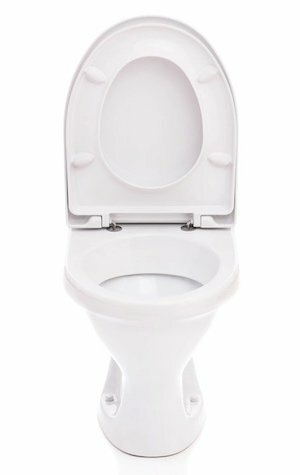 If your toilet seat is cracked, dinged, or worn out, it may just be time for a (quick) change! Sure, there are plenty of intimidatingly complex bathroom repairs for which you would be wise to hire a plumber. This is not one of those. 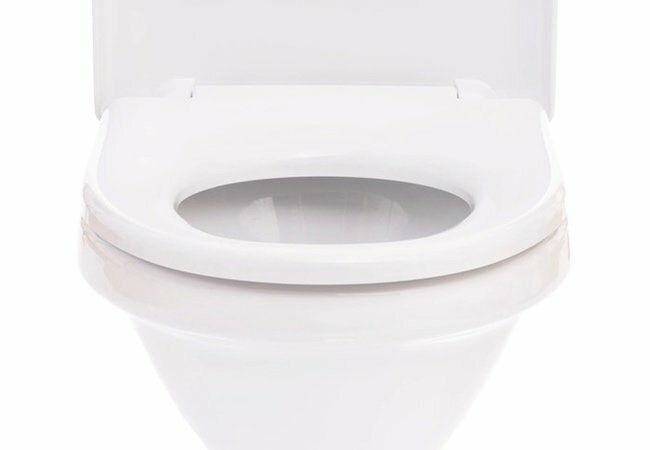 Virtually anyone can install a new toilet seat. Really, it’s only slightly more involved than swapping a new roll into the toilet paper holder. So, regardless of the reason for a new seat, whether the old one has cracked or you’re simply in need of a change, you can move forward confidently on this project, which should take no more than half an hour. Remember that although they often look the same, toilet seats come in a variety of sizes. For that reason, before you purchase a replacement, be sure to measure your existing toilet seat. It simplifies things that these days, toilets come in a set of standard sizes and their accessories (seats included) are made to fit. Still, in the interest of avoiding a return trip to the home center, take three measurements—the length of the seat, the width of the seat, and the distance between the bolts that secure the seat to the toilet. Note that on some toilet seats, the bolts are hidden by plastic covers that snap off to reveal the fasteners beneath. Removing the old seat may be the trickiest part of the job. Much depends on the nature of the nuts and bolts that keep the seat in place. If either or both are plastic, then you’ll probably have no problem. With pliers, hold the nuts on the underside of the toilet tank in place while you unscrew the bolts with a screwdriver. If the nuts and bolts are metal, particularly if the toilet seat hasn’t been replaced in years, corrosion may stand in your way. Here, it often helps to apply lubricating oil (WD-40, for instance) to the nut. Wait about 15 minutes, then use pliers—or, for extra punch, a 1/2-inch socket wrench—to take off the nut. Having removed the old toilet seat, take the opportunity to clean in and around the bolt holes. Next, place the new seat on the toilet, threading the bolts through the freshly cleaned holes. With one hand preventing the bolt from budging, use the other to finger-tighten the nut underneath. Finally, gently screw in the bolt as you hold the nut steady with pliers. Take care not to over-tighten the bolt; doing so runs the risk of damaging your toilet. Put the plastic covers, if any, over the bolts, and before you call it a day, raise and lower the seat a few times to test for looseness. Tighten if necessary. If only every home improvement offered such an outsize reward for so little effort! Though we seldom acknowledge it, the toilet seat—first and foremost a practical component—actually goes a long way toward influencing the appearance of a bathroom, especially one with a small footprint. Does your bathroom look better with the new toilet seat in place? Thought so.